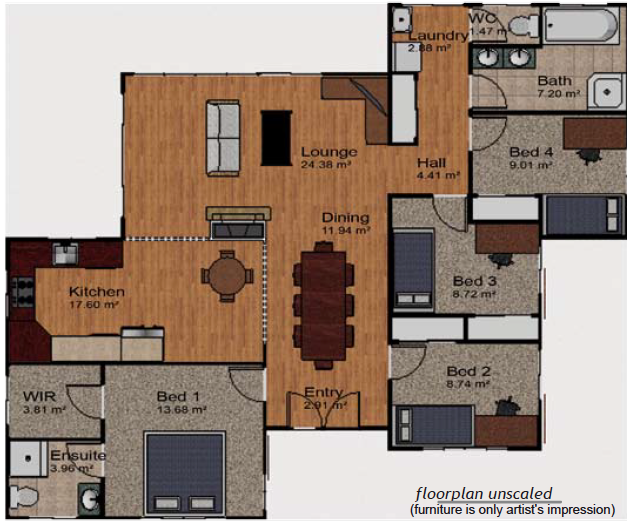 The Aveon combines modern architecture with an economic floorplan. The assembly of different structures and roof lines creates an attractive design and a really individual home. With good proportioning this home has great structured interior design, carefully utilizing every square meter of available space. The heart of this home is the huge entertainment area with a row of skylights. The interior will be filled with plenty of natural light. This feature along with the heightened ceiling make this home so attractive.